If your house is your castle then no doubt your boat is your floating palace. As your pride and joy, your boat interiors, whether a yacht, super yacht or luxury launch should be a place that you or your guests feel just as at home in as you do on dry ground. As an interior designer and colour consultant based in Auckland, the City of Sails itself, I have specialist experience creating exquisite yet practical interiors for boats and super yachts. Boat interiors require indepth knowledge of functional practicalities and products to withstand the marine environment, as well as the restraints of space and clever optimisation to overcome this. All while paying particular attention to detail to satisfy highly discerning clientele! Engaging the services of an interior designer during the boat building process will ensure you make the right decisions regarding the interior colour palette, boat upholstery, curtains, flooring and decor. Alternatively, if it’s time to give your boat a facelift, I can spruce up tired-looking boat interior for a new look. 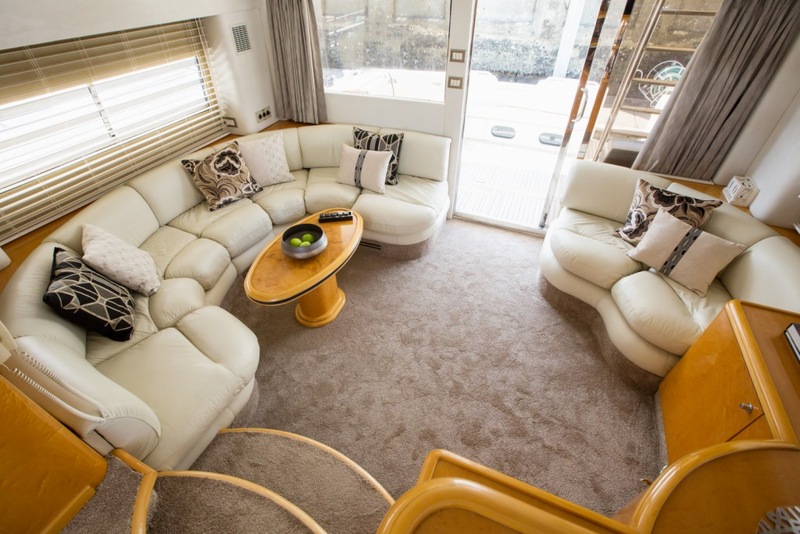 From colour schemes and marine upholstery through to elegant finishing touches, I will help you create a boat interior that offers class and comfort, driven by your own style and desires. Contact me to discuss your project and to arrange a consultation.